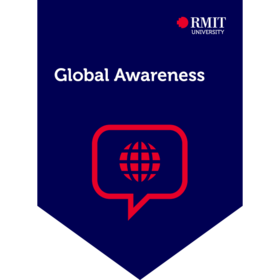 Being able to demonstrate the practice of global awareness is a crucial skill in an increasingly global job market. With many industries either multinational or looking to expand beyond their domestic markets, future employees who have a thorough understanding and proven global working relationships, will be highly valued. The earner of this credential has demonstrated their ability to employ and adapt their professional expertise in international environments.